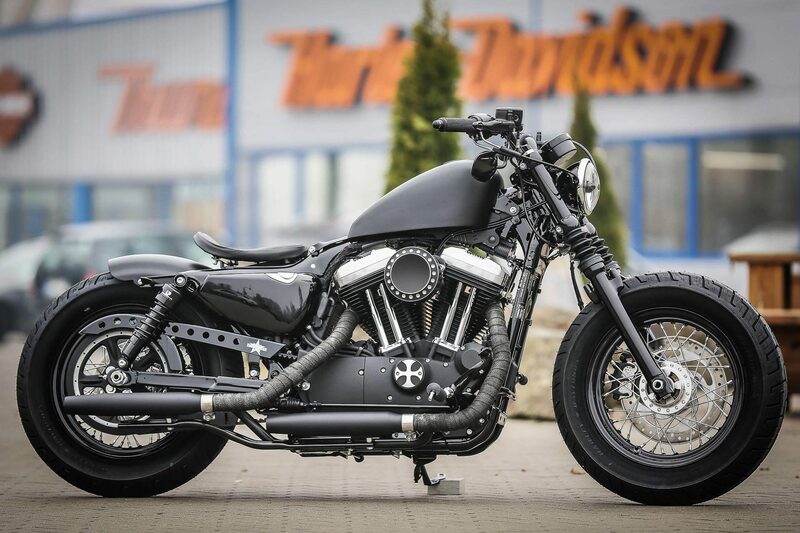 “Another dull black Sporty, is not there enough of that already?” The answer is clearly “no”! 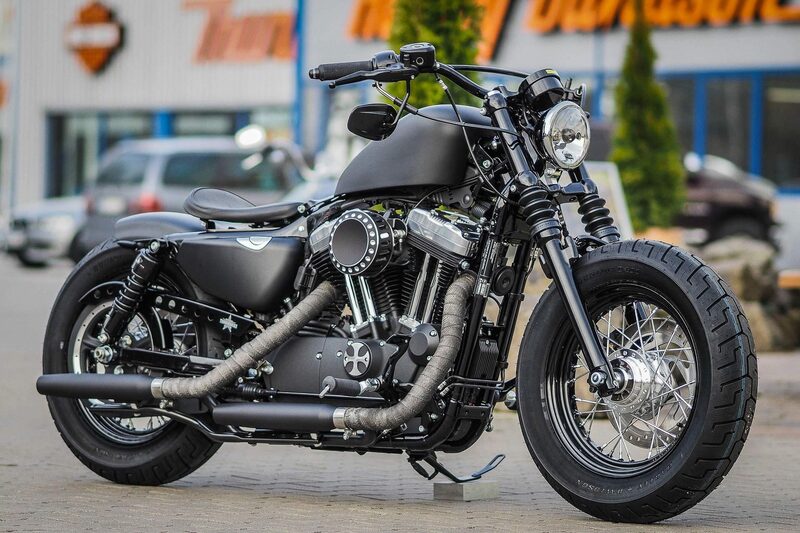 See for yourself, why! 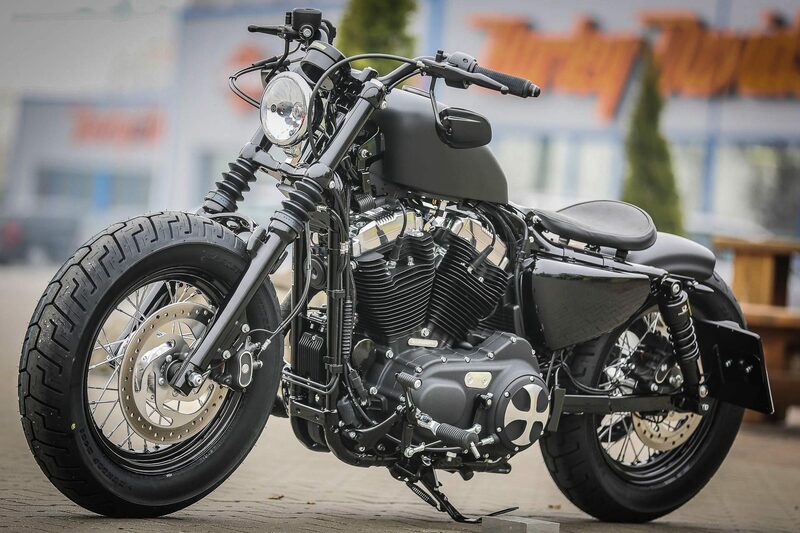 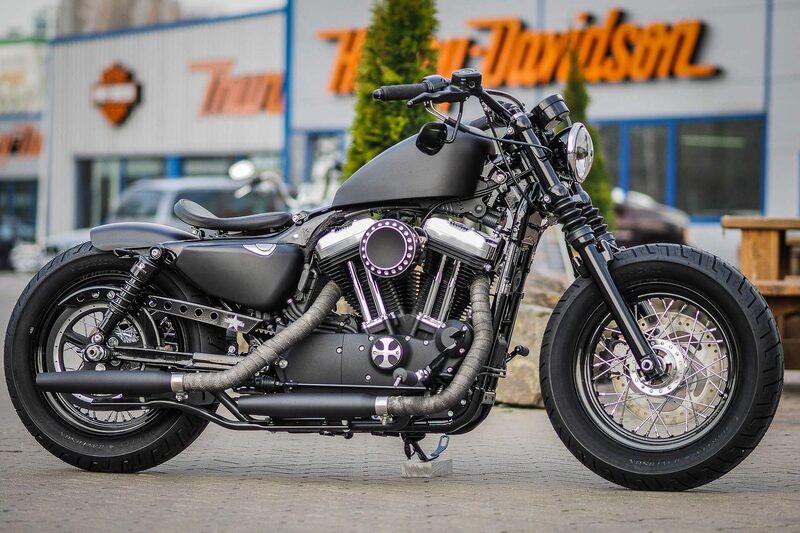 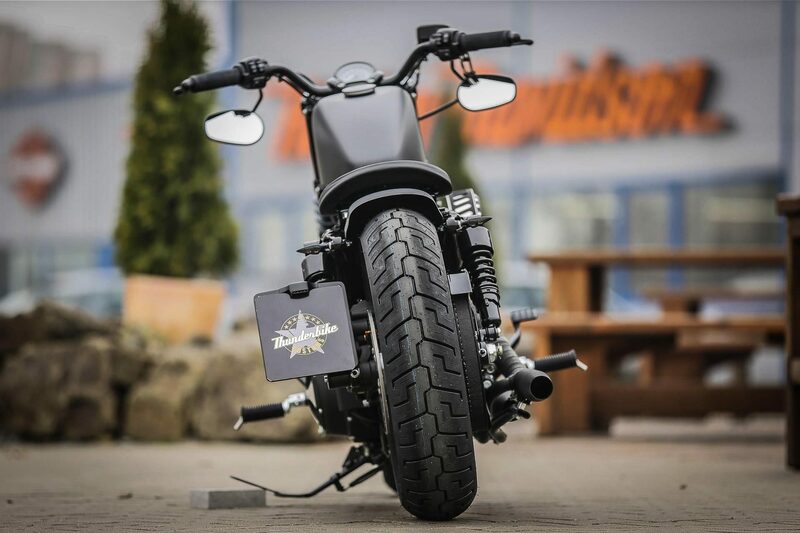 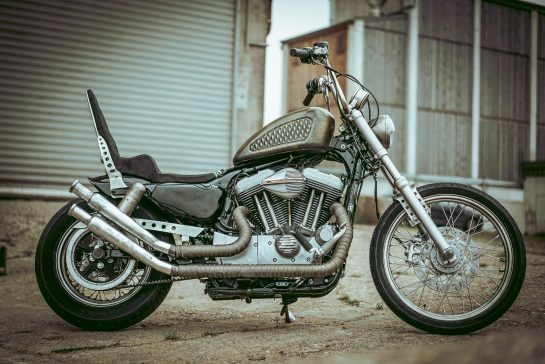 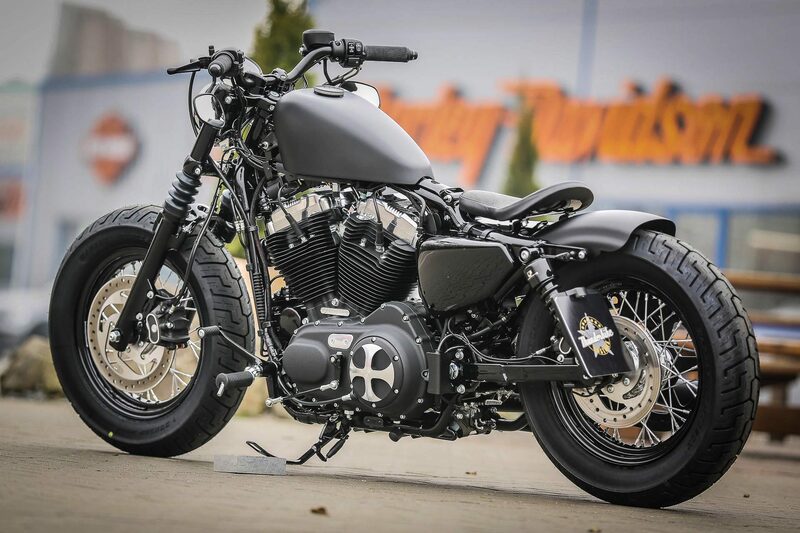 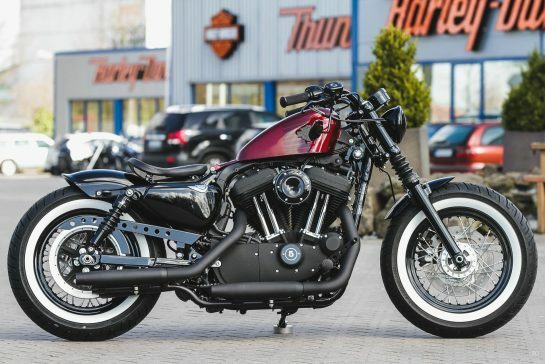 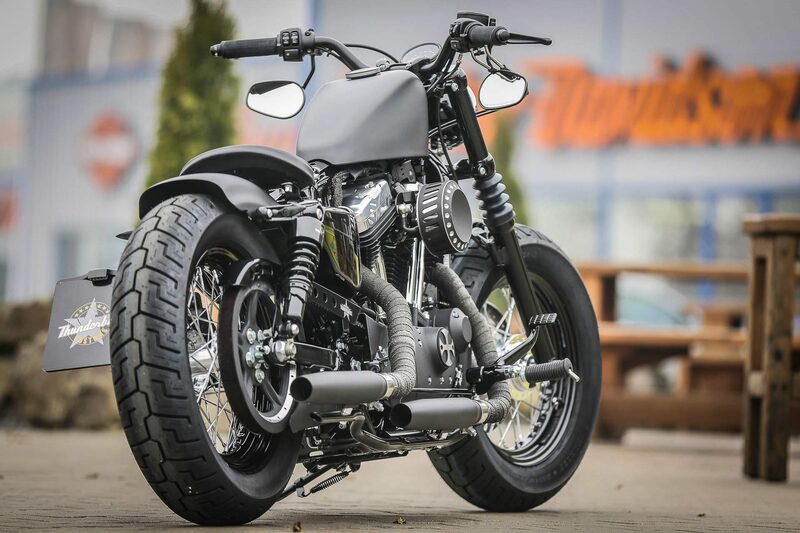 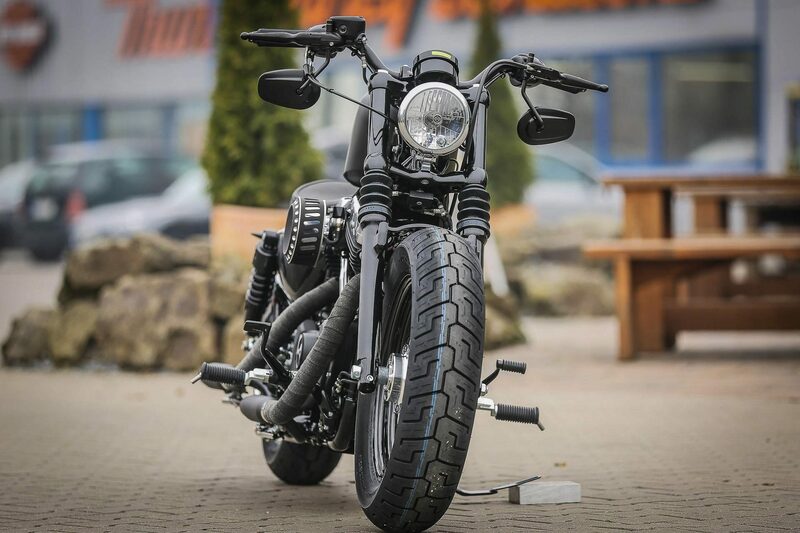 With this Harley-Davidson Forty-Eight, the slogan is clearly “subtle and noble.” You’ll find that we’ve modified some of the assemblies in some way without overloading the bike’s line. 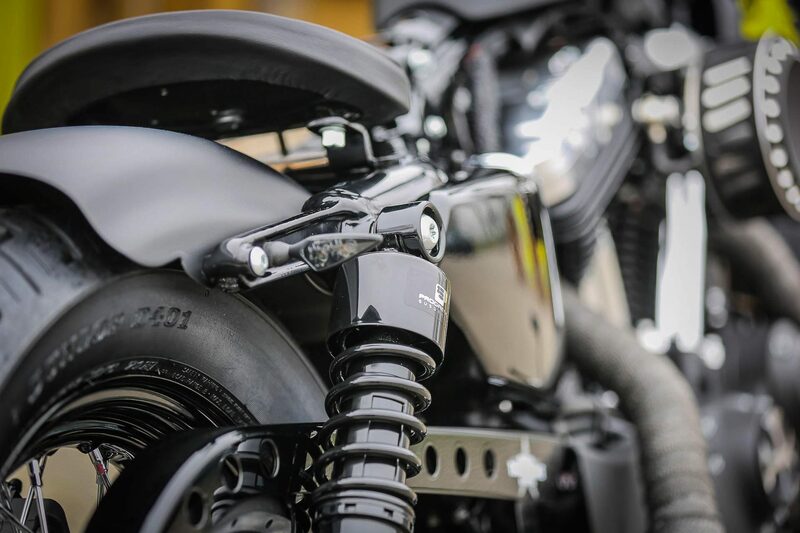 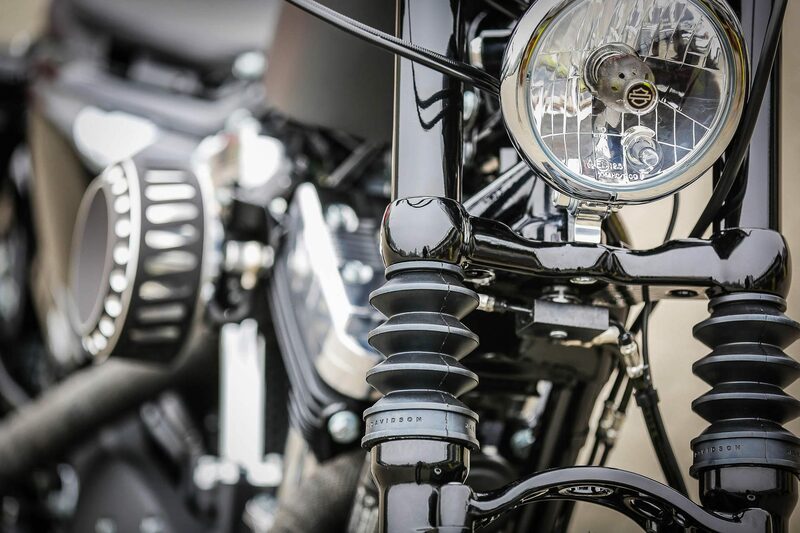 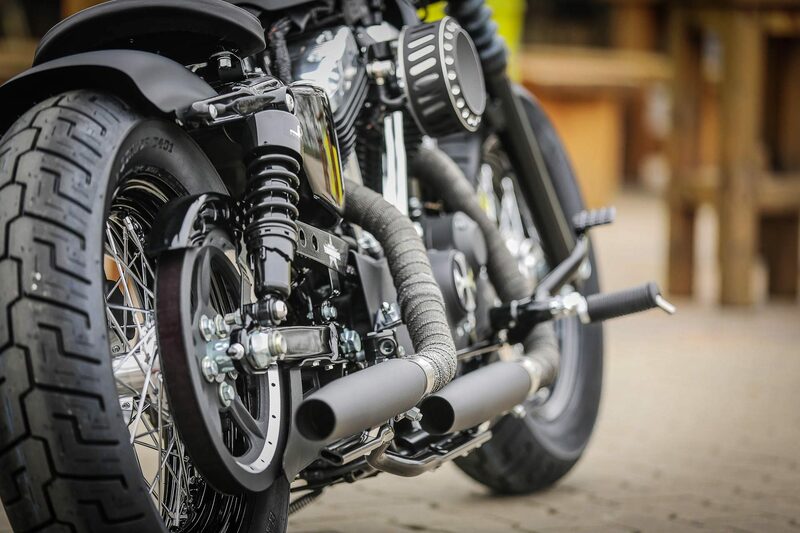 The proven Sportster Evo breathes audibly and pithy through our TB Black Power Filter and through the Street Devil Tapered Endpots. 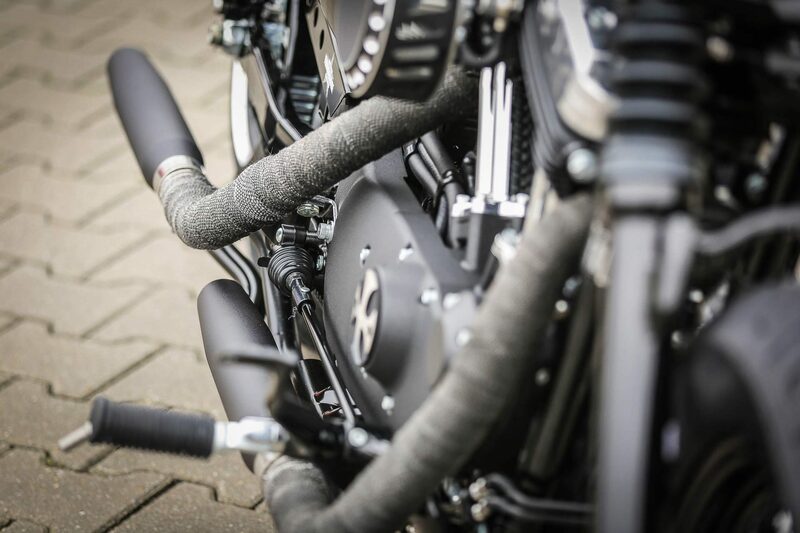 Thanks to their jet black coating enhanced by the Matt Black Paint you don’t have to worry about burned manifolds. 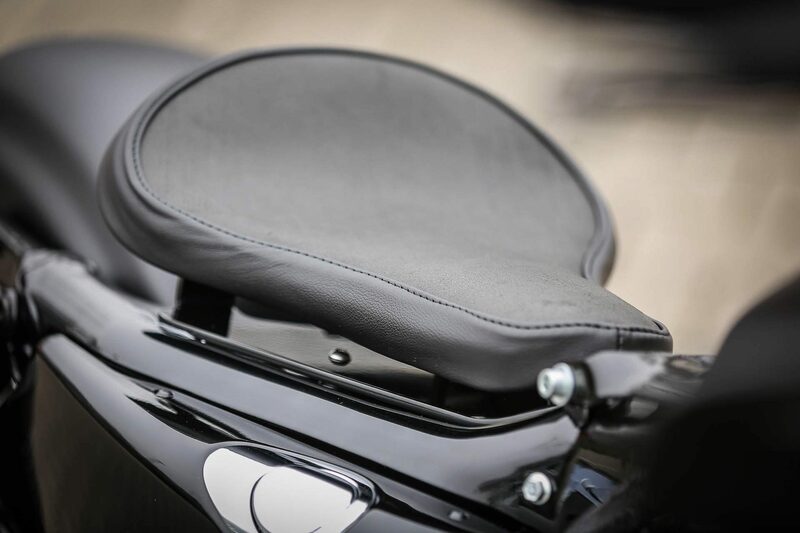 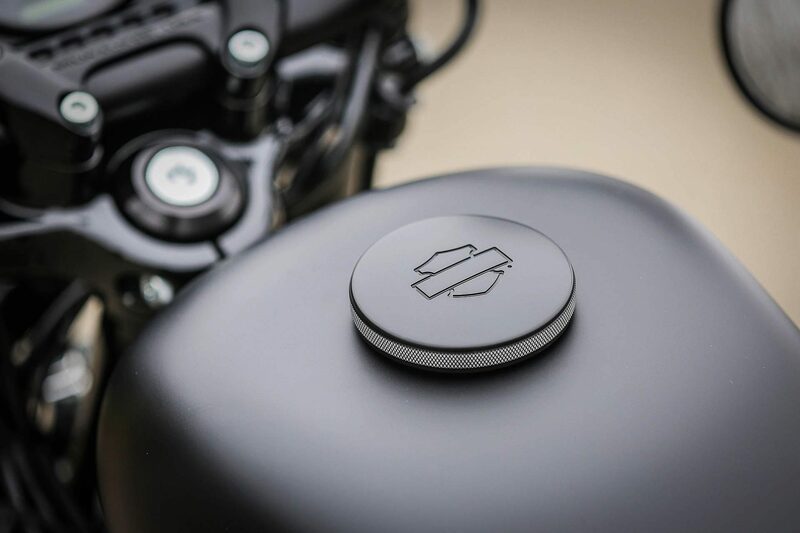 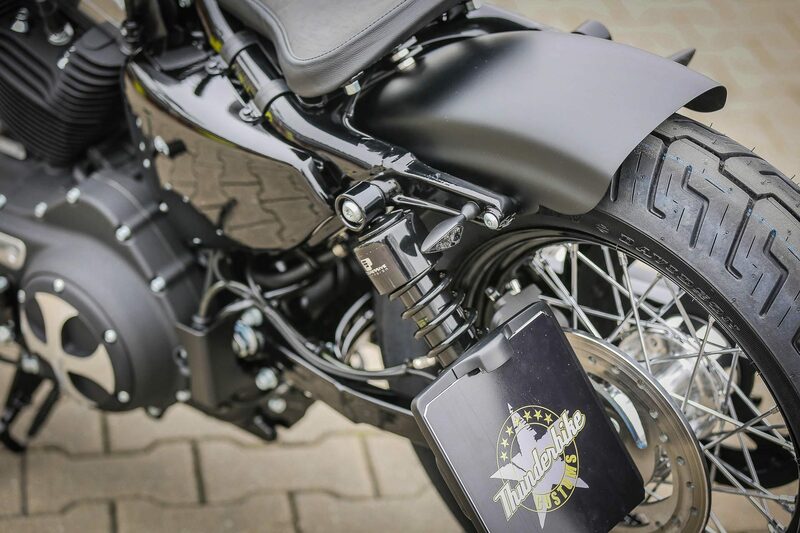 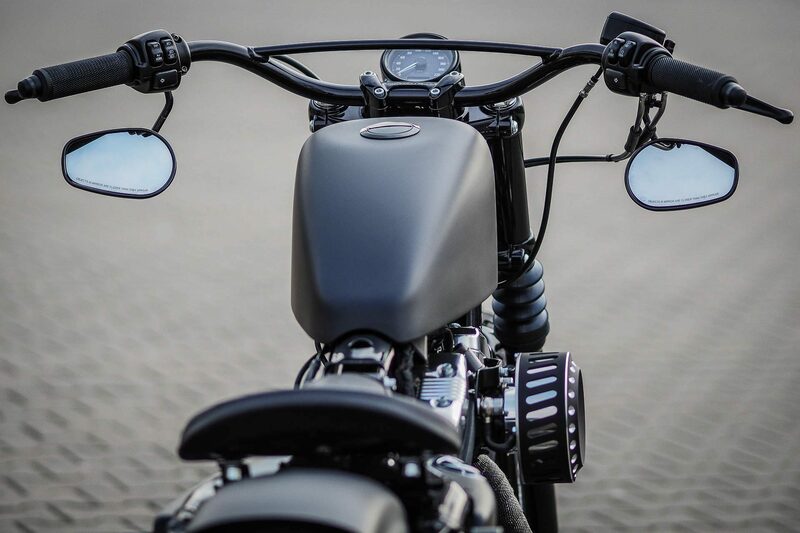 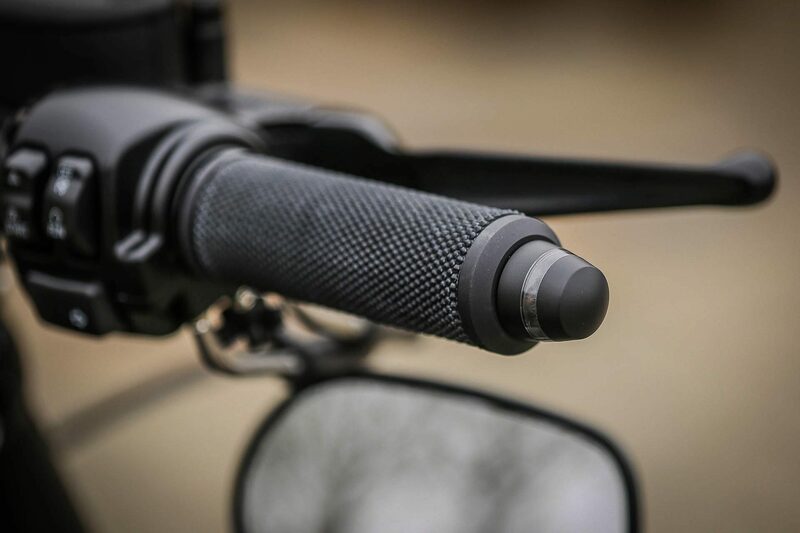 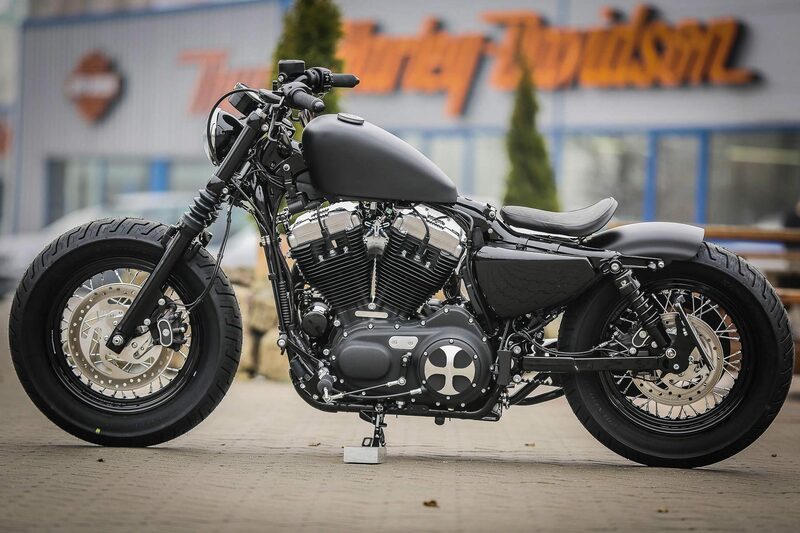 The TB Cross Cover embodies this machine sovereign the dark custom look, for which Harley-Davidson and also Thunderbike stand.